Paula has guided us through several buying and selling transactions in the last few years. She has always acted in the highest professional manner and has held the other agents to the same level so that our best interests were the highest priority. She has always been quick to respond, her communication thorough and her advice spot-on. Paula works tirelessly for our business and deserves our highest recommendation. We will certainly look to Paula to assist us with any future transactions. We want to thank you for your help with selling our house. It’s such a stressful time, but having you there to advise us and guide us through the process really alleviated much of the stress. When we were getting ready to sell our house, we had friends tell us to “post it on Zillow, with this market it will sell itself”. We have little knowledge of contracts, financing or knowing if an offer is legitimate. Thankfully we ignored our friends. When we met with you, we told you we were going to get quotes from two other agents, but after our first meeting, we knew right away that we didn’t have to look further. We always felt you were working for us and looking out for our best interests. We appreciated that you were always available to answer questions or to ease our concerns. Paula Pantaleo of Re/Max Unlimited is a fabulous agent! Paula was our agent three years ago when we purchased our first home and then more recently, we retained Paula to sell that house and purchase a new larger home. Paula made the whole experience extremely smooth and seamless. She truly cares about her clients. She went the extra mile to ensure that we were happy and comfortable with every aspect of the transaction. We are very happy in our new home, but if we decide to move again, Paula will be our first call! My fiancé, Catherine and I were already working full time, attending school part-time, and planning a wedding when we decided to buy a house. Paula Pantaleo from Re/Max Unlimited made the process as simple and smooth as possible. She was there at every step to answer our numerous questions promptly. Purchasing our new home simply would not have been possible without Paula. In the past ten years, I have bought and sold over 25 properties, building my real estate portfolio with the expert guidance of Paula. What sets Paula apart from the others is the combination of competence, high integrity and the ability to think outside of the box to overcome obstacles that are typically encountered. I would not consider using anyone other than Paula in a Real Estate transaction. Paula Pantaleo with Re/Max Unlimited is Fantastic! Paula helped my husband and I with the purchase of a new home. We had a house built from the ground up this was the first time that we had built a home and there were many things we did not know about the process. We were very lucky to have found such an expert Realtor! Paula made the entire process smooth and was extremely detailed and knowledgeable. We have already recommended several friends and family to Paula she truly cares about her clients and always goes above and beyond. 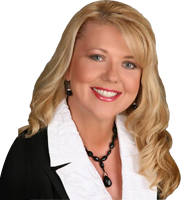 Paula has guided us and has helped buy and sell several homes. She is knowledgeable, confident and knows the market very well. We have referred her to many friends, relatives and neighbors and they have all had great success in selling their homes and purchasing new homes. 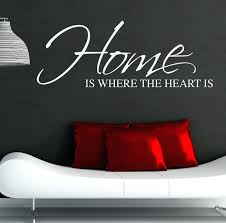 We will continue to refer Paula to anyone and everyone that we know that are in the market to buy or sell a home. Paula is not only the best Realtor through years of working together she has become one of our best friends. Paula is THE BEST!